This page will make it possible to showcase the best website design awards as nominated by you, one of my fellow teachers. I'm thinking that if your school district is anything at all like mine, it's highly likely that you are being required to create and maintain a classroom website.Even if your district provides basic tools for that purpose, I know from experience that the development and maintenance of a website can be a daunting task. With that in mind, it is my intention to provide you with free tools that may make that task easier. There will be more about that in the very near future. Secondly, I'd like to offer you an opportunity to be recognized for a job well done. Hey, our students are not the only ones who need positive reinforcement! And, let's face it. Too often, praise is the absence of criticism. We know that we're doing a good job because no one is jumping down our throats every time we turn around. At least when it comes to developing classroom websites, let's change all of that. And, that's where I need your help. 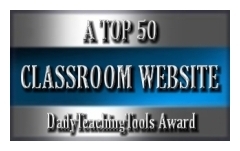 I would like to include your classroom website in the DDT Showcase of Outstanding Websites. I would also like to include as many others as I can, as soon as I can. As a result, this is not a site of the month endeavor. There are no time constraints. So, if you think your classroom website deserves recognition, take a few moments to fill out the nomination form. If you don't have a classroom website but know a fellow teacher who does, nominate his/her site to receive an award. Just as importantly, if you have found websites that offer extensive resources that are useful to teachers, nominate them as well! This is a great way to share with your colleagues, who will in turn, share those resources with their kids! It can be a win, win situation for all of us--but, only with your participation. 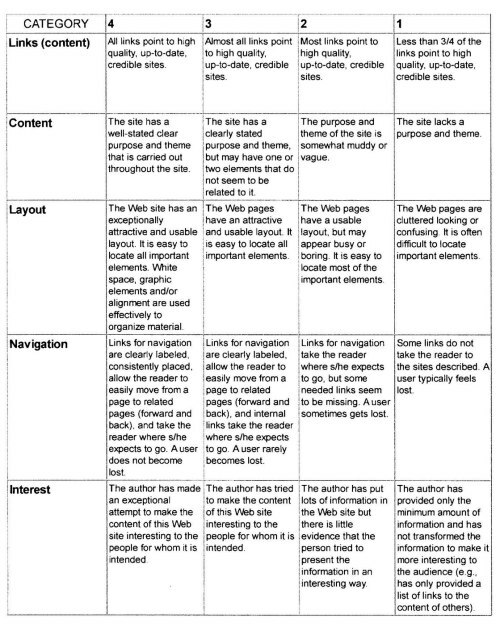 Given that we’re both teachers, it seems entirely appropriate that I present the rubric that will be used for the classroom websites awards. The following rubric was created with Rubistar, a free online rubric generator. Because I'm working with a size limitation for graphics that I upload, I had to reduce the clarity of this somewhat. But, I think you'll be able to see it well enough. 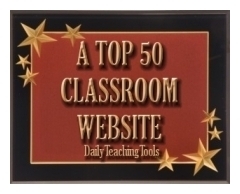 I'm looking for classroom websites that would score somewhere in the 15 to 20 point range. What follows are the awards themselves. They are available in various sizes, and in the category of classroom website awards there are three to choose from. Yes, you can right click on each image and save it to your computer. But, you will also capture the surrounding white area in the process. The ones I'm offering have a transparent background and would fit seamlessly on any webpage. In addition, if your site is a recipient of one of these awards, I will send you the HTML for displaying the award with a transparent background. 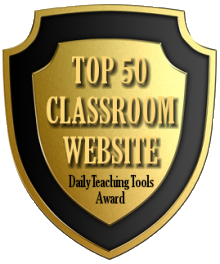 Furthermore, Daily Teaching Tools will link directly to your classroom website. That link and a screenshot of your homepage will appear on The Showcase of Outstanding Websites--a page right here on DDT. Given that DTT has hundreds of unique visitors every day, this would give your site lots of exposure on an international basis. I'm relatively sure that since you are visiting Daily Teaching Tools, you have also visited many other websites that offer valuable resources for teachers. We would all like very much to see what gems you have found. 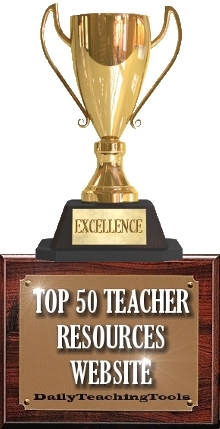 The rubric for this category of award is the same as the one you saw previously, and again, I'm looking for sites that score in the 15 to 20 point range. Sites receiving this award will be provided with the HTML for the images with transparent backgrounds, along with a back link to DTT. 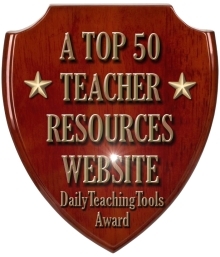 This link will benefit both the recipient's site and Daily Teaching Tools, as back links help improve both site's rankings. Wow! This one's a monster, isn't it? I'm pretty sure that you visit sites regularly that are very deserving of any of these awards--nominate one, for Pete's sake! If you have visited this page recently, you may have noticed the following message: "The Showcase of Outstanding Websites is the name of the page that I will develop solely for the purpose of honoring recipients of these awards in both categories . . . "
Well, I'm pleased to say that after we had our first winner, I DID develop this page as promised. It's located here. In the meantime, there's been several other winners, and all of their sites are honored on the above referenced page. As you can see, there's a limited amount of space available. As a result, if you have a site that you'd like to nominate, you may want to consider doing it relatively soon. I understand that you will use my information to nominate a site. As I mentioned earlier, this page will make it possible to showcase the best website design awards as nominated by you, one of my fellow teachers. Why not take a few moments to receive recognition for the work you've done on your classroom website? 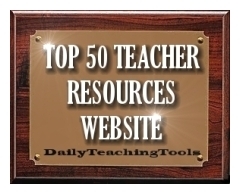 And again, if you have found websites that offer extensive resources that are useful to teachers, nominate them as well! If you need additional information or if you have questions, comments, or suggestions, please don't hesitate to contact me. May I count on you to participate?